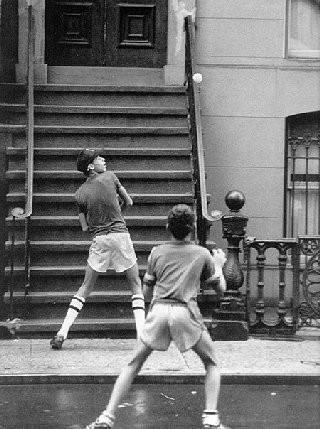 My cousin Lenny shared this photo on Facebook (the boys are not us, although the socks and shorts look familiar) with the following comment: “If u know about this game, u lived a great childhood.” The photo brought back so many great memories of my summers in Brooklyn — the concrete heat, the boombox music, the bloody scraped knees…and when it got hot, we grabbed the monkey wrench, opened the johnny pump, and took turns sitting on the gushing water. Yeah, cuz, we lived a great childhood. The SMC³ LTL reference tariff will be accessed directly from LLamasoft Supply Chain Guru and Transportation Guru software and will provide the rate data necessary to help determine the cost and feasibility of new network structures and shipping locations. By incorporating reference rates into their models, LLamasoft customers will be able to better understand how LTL rates will impact their overall strategy, enabling more intelligently-designed supply chain and transportation networks. When a contract is uploaded, advanced algorithms and smart reasoning extracts and organizes rates from endless pages of rate agreement contract data. These cutting-edge diagnostic features determine which rates are new and should be added versus rates which are currently in effect and simply need to be updated with revised rate levels. Once added, rates are returned back to the user through an audit feature for verification purposes. SUDS learns contract details and validations as the contract is being processed. Contracts only need to be mapped once and then that information is automatically applied to any subsequent amendments and updates. The two facilities are part of a larger project which will displace more than 1.5 million gallons of diesel annually with 100 percent domestically produced low-carbon natural gas. Each Ryder fueling location has three pumps – two Compressed Natural Gas (CNG) and one Liquefied Natural Gas (LNG)…LCNG stations rely on LNG delivered via tanker trailers. As a cryogenic liquid, and due to the extremely cold temperatures of liquefied natural gas, LNG is stored on-site in specially insulated cryogenic tanks. The liquid is then either dispensed as an on-highway fuel for LNG vehicles, or warmed, vaporized, and compressed for fueling of CNG vehicles. According to ATA’s Trucking Activity Report, quarterly turnover at large truckload fleets – fleets with at least $30 million annual revenue – rose in the first quarter to an annualized rate of 97% from 90% in the fourth quarter of 2012. The rate was the highest it has been since the third quarter of 2012 when it was 104% and just below the average rate in 2012 of 98%. Note: LLamasoft and Ryder are Logistics Viewpoints sponsors.